The Shiloah Village outside of the Jerusalem Old City walls dates back to biblical days. Its famous Shiloah spring was utilized for Temple libations. The caption on this Library of Congress photograph reads, "The village of Siloam [i.e. 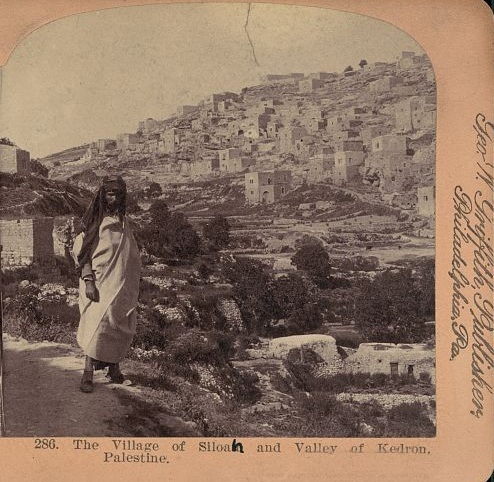 Siloan, Shiloah, Silwan] and Valley of Kedron, Palestine." But whoever wrote the caption, perhaps 110 years ago, missed an important fact. The man standing above his village is a Jew from Yemen. The most famous Jewish Yemenite migration to the Land of Israel took place in 1949 and 1950 when almost 50,000 Jews were airlifted to Israel in "Operation On Eagles Wings -- על כנפי נשרים" also known as "Operation Magic Carpet." But another migration took place 70 years earlier in 1881-1882 when a group of Jews of Yemen arrived by foot to Jerusalem. They belonged to no "Zionist movement." They returned out of an age-old religious fervor to return to Zion. The new immigrants settled on Jewish-owned property in the Shiloah Village outside of the Old City walls of Jerusalem. The gentleman in the photograph above wears the distinctive Jewish Yemenite clothing of the time, according to a Yemenite expert today. 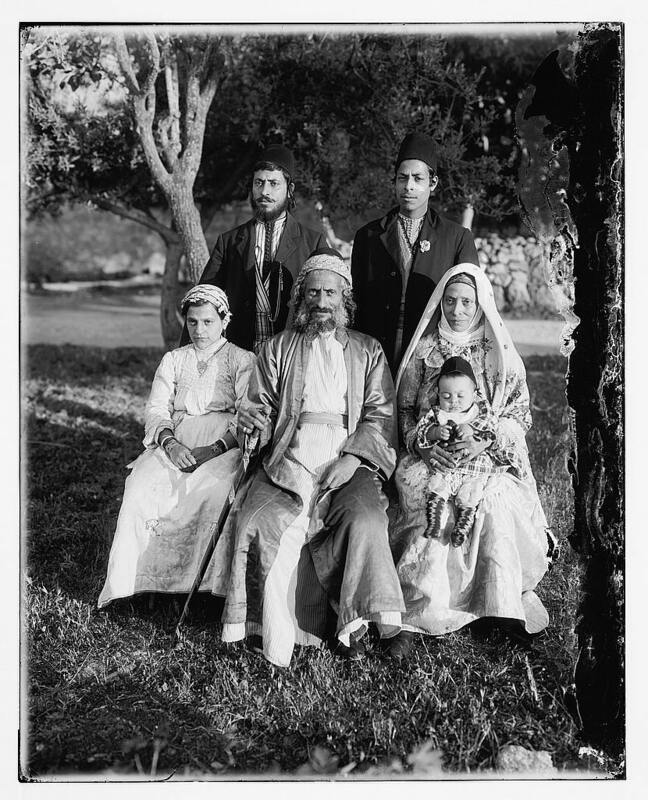 The photo collection also contains portraits of Yemenite Jews, such as this family portrait from the early 1900s. Look at the picture, presumably of three generations. And realize that if that baby were still alive today, 100 years later, he would be the family elder of another three or four generations of Jews in the Holy Land. The Jews of Shiloah were the targets of anti-Jewish pogroms during the anti-Jewish riots in 1921 and again during the 1936-39 Arab revolt when they were evacuated by the British authorities. Jewish families returned to Silwan/Shiloah after Israel reunited the city of Jerusalem in 1967. In my humble opinion, the man in the picture with the [Shiloach] village in the background is a Jew fom Habani (the Jews of Hamani were tall) and the family looks like a family that made aliya from Saana. So much things have changed in that village. From the time of the picture, the traditional houses are being replaced by modern ones.